The Trio the three legendary dogs. 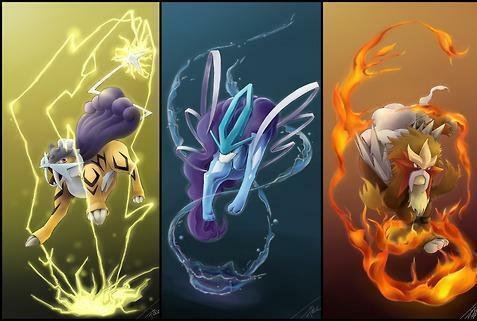 The dog trio Raikou,Entei,Suicune	. Wallpaper and background images in the Legendary Pokemon club tagged: legendary pokemon dogs *woof woof*.